The guru said “I don’t care”. 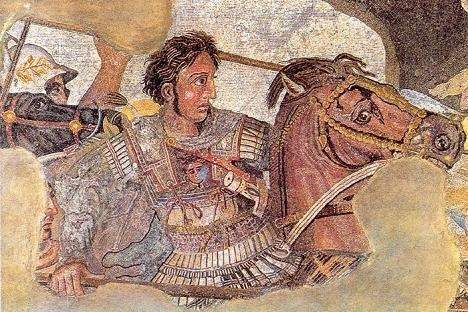 So he got angry and went back to Alexander, and said “He doesn’t want to come!” Alexander was equally infuriated. He was angry. He said “I will teach him a lesson!” Alexander picked up his sword, sat on his horse, came to Vrindavan, grabbed the saint by the neck, and said “I will teach you a lesson! You dare disobey me? I asked you to come! Why didn’t you come?”.